Thanks to Fabian, Grinler, and decrypterfixer (BleepingComputer.com) for the info and samples on this post. 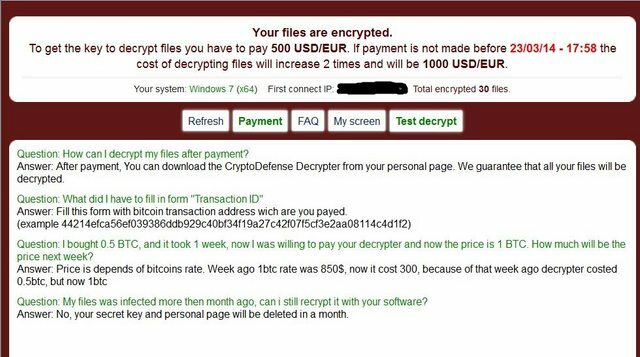 There is a new crypto-ransomware going around called CryptoDefense. It uses RSA-2048 and seems to work similarly to CryptoLocker, aside form the fact that there is no actual UI. 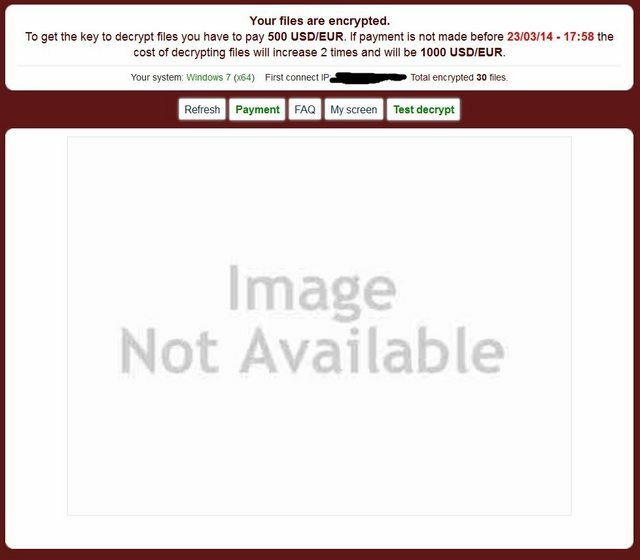 The elements of the UI that CryptoLocker would use are now shown to the user via a web service. It does not look like there is a feasible way to decrypt the files without payment at this point. These request contain the private key and a unique identifier for each PC, which is uploaded to the C2 before encryption. The dropper and decrypter are pretty heavily obfuscated. I am sure once you gurus analyze this more there will be corrections to be made. The malware author released a new variant of his malware using different C2 domains and fixing his mistake of saving the private key on the victim's PC that Symantec conveniently pointed out to him roughly 24 hours before this new version was compiled. I also included the unpacked malware. It has been patched to start right at the file encryption stage for easier debugging of the key generation/encryption. When you say decrypter, do you mean it decrypts the files? New Version of the Virus Distributed today. It is not being picked up by very many antivirus scanners yet. 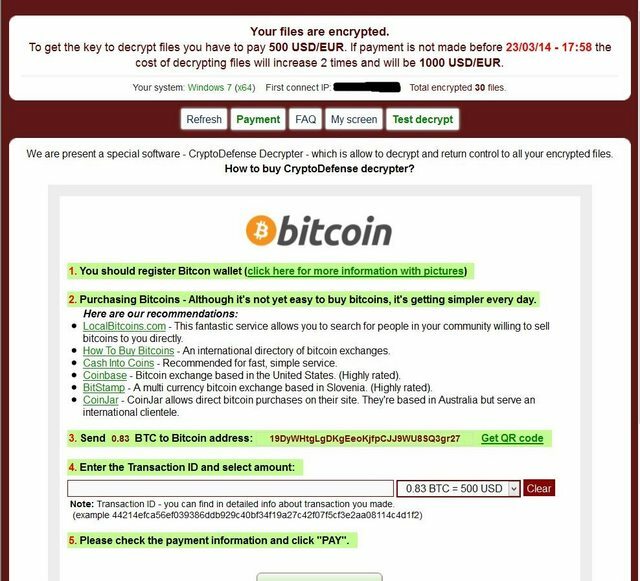 Fabian Wosar wrote: The malware author released a new variant of his malware using different C2 domains and fixing his mistake of saving the private key on the victim's PC that Symantec conveniently pointed out to him roughly 24 hours before this new version was compiled. I also included the unpacked malware. It has been patched to start right at the file encryption stage for easier debugging of the key generation/encryption. Does anyone know how to tell the old one from the new one? And Where is the private key on the system? Cody Johnston wrote: These request contain the private key and a unique identifier for each PC, which is uploaded to the C2 before encryption. If a business server got it and it had logs, could you decrypt the log file and find the key? colbyiscute4e wrote: When you say decrypter, do you mean it decrypts the files? colbyiscute4e wrote: Does anyone know how to tell the old one from the new one? colbyiscute4e wrote: And Where is the private key on the system? colbyiscute4e wrote: If a business server got it and it had logs, could you decrypt the log file and find the key? If you had a pcap maybe.